0000 0000 0000 0000 – 没有错误. 0000 0000 0000 0001 – Unclassified. 未分类的错误类型. 0000 0000 0000 0011 – MCE是由于别的CPU的BINT# 引起的. 0000 0000 0000 0100 – Functional redundancy check (FRC) master/slave error. 0000 0000 0000 0101 – Internal parity error. 0000 0100 0000 0000 – Internal timer error. 000F 0000 0000 11LL – Generic cache hierarchy errors. 000F 0000 0001 TTLL – TLB errors. 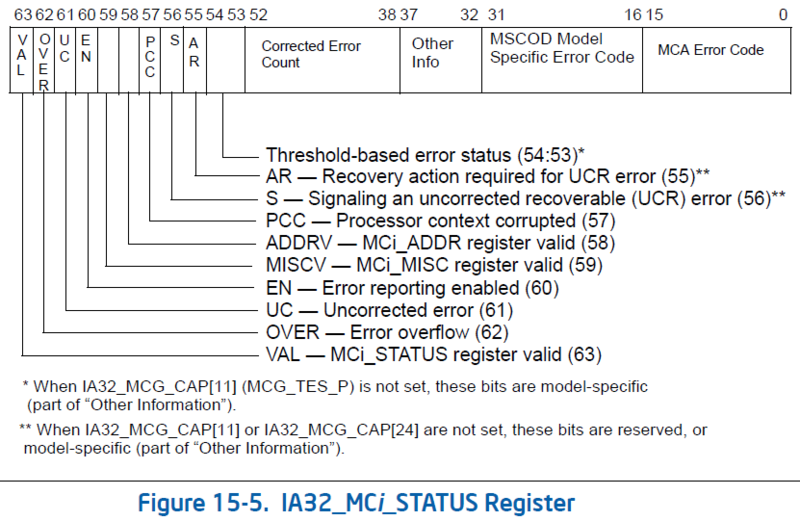 000F 0000 1MMM CCCC – Memory controller errors (Intel-only). 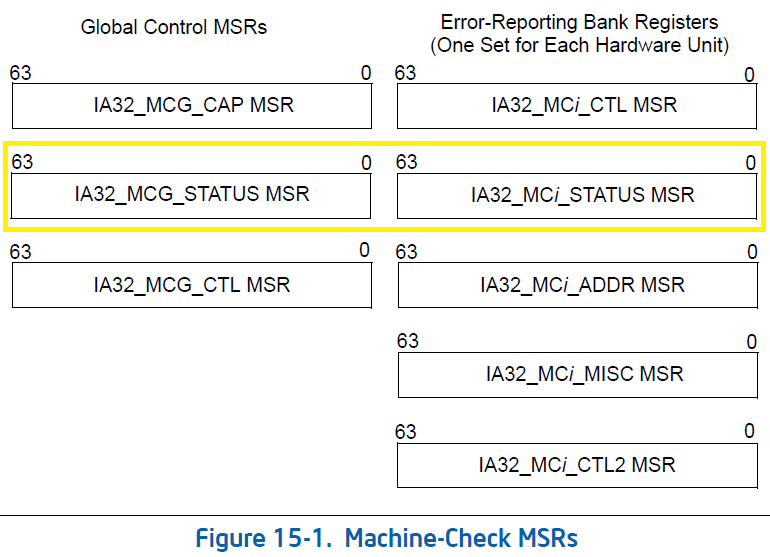 000F 0001 RRRR TTLL – Memory errors in the cache hierarchy. 000F 1PPT RRRR IILL – Bus and interconnect errors. Intel – Intel 64 and IA-32 Architectures Software Developer’s Manual . Chapters 15 and 16. AMD – AMD64 Architecture Programmer’s Manual Volume 2: System Programming . Chapter 9.